A beautiful pack of 10 heart place cards from the Sass & Belle range. These beautiful, elegant Sass & Belle love heart place cards are perfect for wedding table decorations. 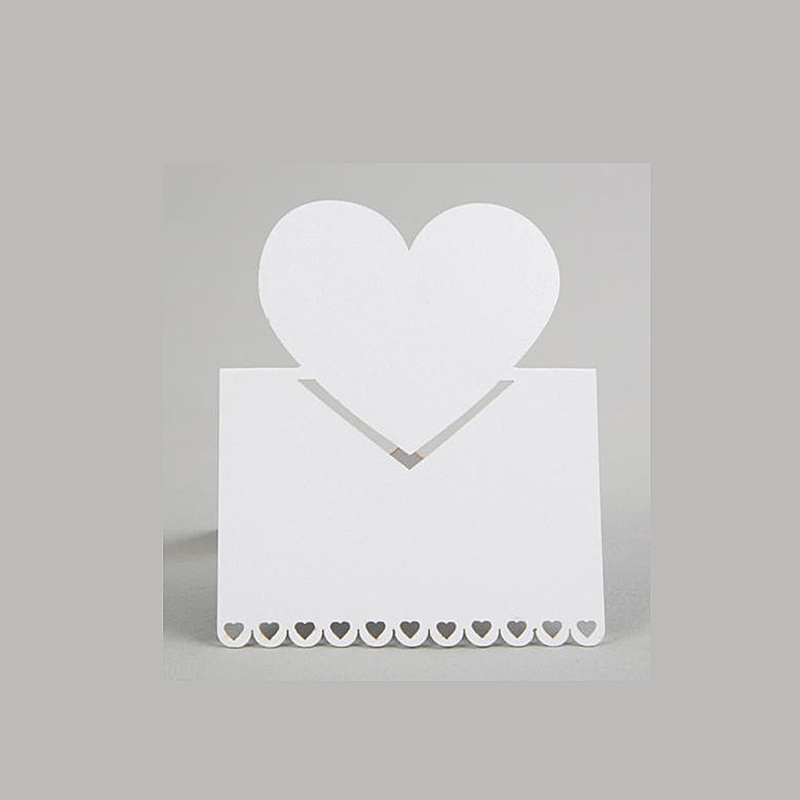 A pearl white card with a gorgeous laser cut love heart pattern on the bottom and a big love heart design.